Need a room (or rooms) for a meeting? Then why not consider our facilities at the TTA HQ in Stone, Staffordshire. 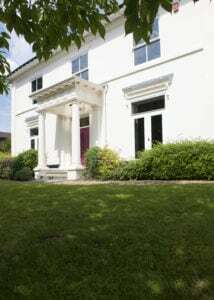 We are ideally located just off the A34 midway between M6 junctions 14 & 15, close to Stafford and Stone train stations, and near to Birmingham, Manchester and East Midlands airports. 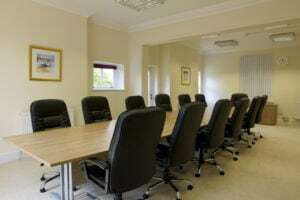 Meeting rooms are available to hire to any business (you do not need to be a TTA member or associated with the tiling industry). Tea and coffee is £2.75 per person per half day / day. A tasty buffet lunch is £8.25 per person (if required). Projector, screen, flipchart and WiFi are free of charge. 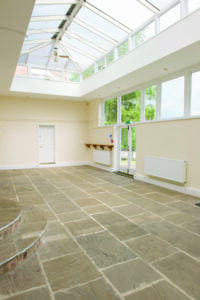 The rooms are fully accessible and include ramps and a ground floor toilet. £2.75 per person per half day / day. £8.25 per person (if required). Include ramps and a ground floor toilet.